There's a certain je ne sais quoi about McDonald's fries that pulls at our heart strings. But with all the salt and hydrogenated oils that go into producing them, the popular side dish can very well send our hearts into a frenzied panic. 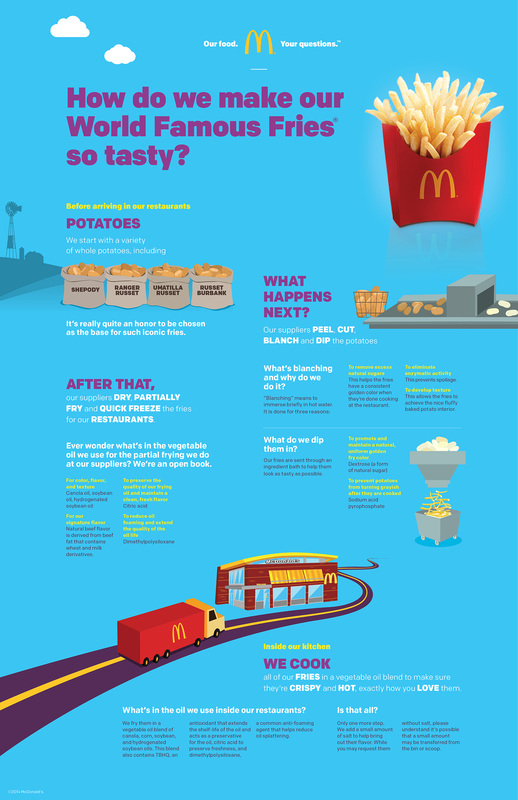 McDonald's fries aren't only made with white potatoes, but with 18 other extra ingredients. Minimize the 'extra' by eating simply and well. You don't really need additives like dimethylpolysiloxane in your diet anyway. You won't need any hydrogenated oil for these easy baked carrot fries. Just 4-5 carrots, olive oil, and the seasoning of your choice. Go easy on the salt to make sure that your blood pressure doesn't spike. Preheat oven to 400F. Peel carrots, halve them, and slice them into rectangular wedges. Toss them in a large bowl with olive oil and seasonings. Bake in the oven on a cookie sheet lined with parchment paper for about 10 minutes. Flip or toss fries around and bake for another 10 minutes, or until golden brown. They should be crunchy, fully cooked, and not too soft. Not really into baking? 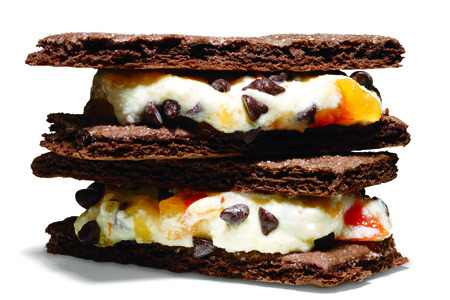 Maybe you have a sweet tooth, but you don't have an oven. 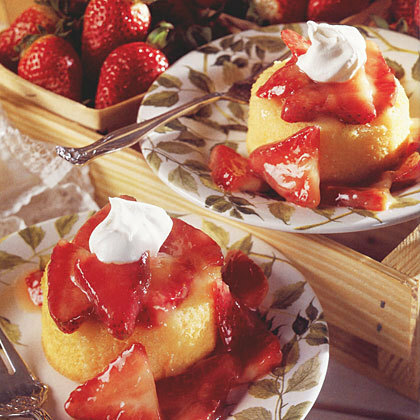 This mug cake can be put together in no time at all. It's one of the easiest breakfasts you'll ever make when you're rushing out the door. Mix all the ingredients together in a mug and you're done! Let it sit in the fridge for for 5-15 minutes if you want it to solidify. Eat this no-bake raspberry mug cake as is, or with a bit of almond milk. Loved learning about these recipes? This post was created by PumpUp members @tyler_bacc and @tysa. Let them know if you tried the mug cake or the carrot fries in the comments below! Post by Anna M (eatforyourpeace) . Follow her on PumpUp @annaaa_, on Instagram @a.maria9, and check out her blog. I adore Christmas. I adore carols, winter fun, snow, and especially all of the cookies that my mom and I used to make. I’m trying to incorporate more fruit into my baking and wanted to create something that tasted scrumptious and smelled as aromatic as a holiday dessert should. I’m pleased to share this cake recipe of caramelized fruits with a crispy crust. Needless to say, the result was amazing. Exact quantities aren’t specified here because it depends on how many fruits you plan on caramelizing. You should make enough “crust” to cover the fruit with a thin to medium layer. Use equal parts flour and oats, half the amount of sugar, and add a bit more butter (or earth balance if you are vegan). 1. Preheat oven to 180C/350F. Slice the pears, apples, the dates and the figs and set aside. If the dates and the figs are a bit hard, let them soak in water for a couple of minutes! 2. In a saucepan, let butter melt, then add the sugar. Add the orange juice and some orange zest. Wait until the butter is completely melted (you should stir with a wooden spoon slowly) and then add all the fruits. Stir slowly on occasion. Cook until all the fruits are nice and soft. 3. 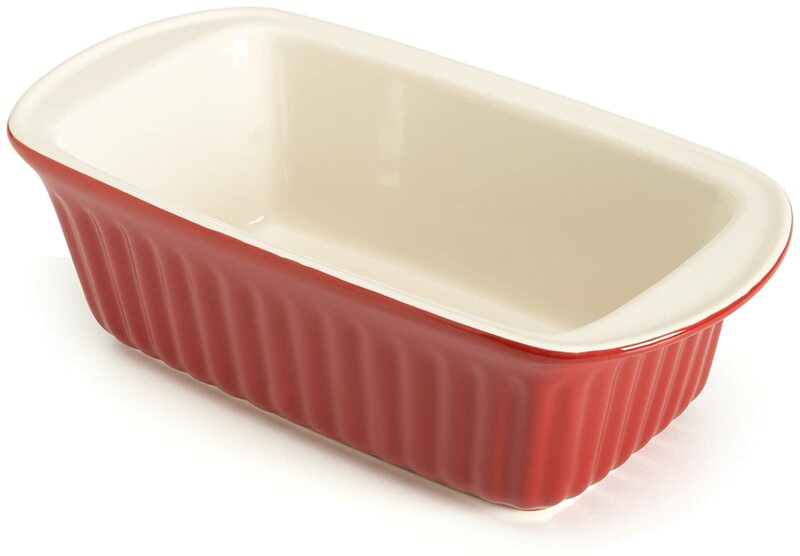 Take ceramic loaf pan, grease it with a little bit of butter and pour in fruit mixture. 4. 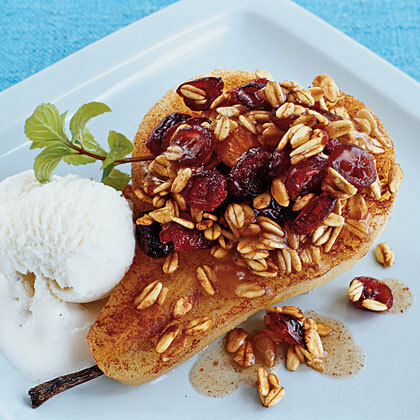 Take a bowl and add flour, oatmeal and brown sugar, and melted butter. Who says it’s impossible to make a delicious homemade cake without eggs? Follow this recipe and you won’t regret it. Optional: add a small glass of orange liqueur. Sieve the flour with the baking powder into a bowl and add the sugar. Put into the bowl the milk and then the oil (or the butter), always blending and add the liqueur if you want to. Now cut one apple and an half into small pieces and put them into the bowl. Line a cake tin with some baking paper and put all the dough into the cake tin. Cut the other apple and an half into slices and put them on the top of the cake, covering the cake. Put the cake into the oven at 180 degrees for about 45/50 minutes. 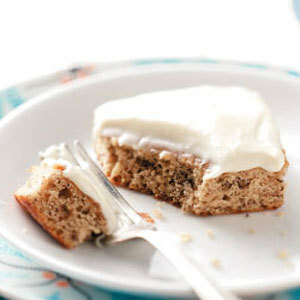 When the cake is cool, dust it with a bit of powdered sugar (optional). This is a recipe by PumpUp member Claudia Z. A picture of dee-licious looking donuts, good, now we have your attention. Did you know that vanilla creme-filled donut can have over 320 calories with 17 grams of fat?! I know right! Don’t start crying just yet! 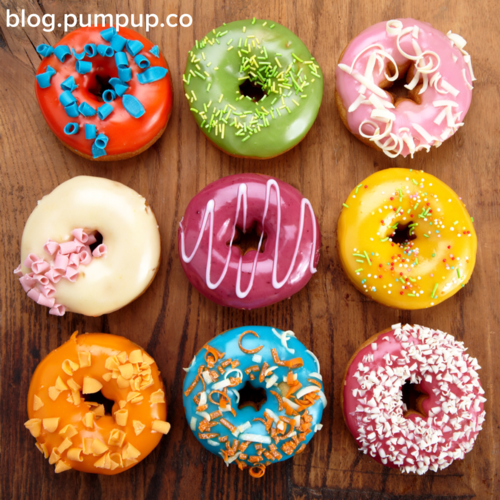 Throw out the donuts and come take a read through the PumpUp Blog with some absolutely scrumptious healthy dessert recipes! In a large bowl, beat butter and sugar until crumbly, about 2 minutes. Add eggs, one at a time, beating well after each addition. Beat in the bananas, applesauce and vanilla. Combine the flour, baking soda and salt; stir into butter mixture just until blended. Transfer to a 15-in. x 10-in. x 1-in. baking pan coated with cooking spray. Bake at 350° for 20-25 minutes or until a toothpick inserted near the center comes out clean. Cool in pan on a wire rack. For frosting, in a small bowl, beat cream cheese and butter until fluffy. Add confectioners’ sugar and vanilla; beat until smooth. Frost bars. Refrigerate leftovers. Yield: 3 dozen. In a small bowl, combine the cracker crumbs, butter and sugar. Press into an 11-in. x 7-in. dish coated with cooking spray. Cover and refrigerate for at least 15 minutes. Meanwhile, for filling, in a small heavy saucepan, combine the egg yolks, 1/4 cup water, 1/2 cup sugar and salt. Cook and stir over low heat until mixture reaches 160° or is thick enough to coat the back of a metal spoon. Cool quickly by placing pan in a bowl of ice water; stir for 2 minutes. Set aside. In a small heavy saucepan over low heat, combine the egg whites, cream of tartar and remaining water and sugar. With a portable mixer, beat on low speed until mixture reaches 160°. Transfer to a small bowl; beat on high until soft peaks form. In a large bowl, beat cream cheese until smooth. Gradually beat in egg yolk mixture. Fold in whipped topping, then egg white mixture. Drain raspberries, reserving 3 tablespoons juice. In a small bowl, crush half of berries with 1 tablespoon of juice. Set remaining berries and juice aside. 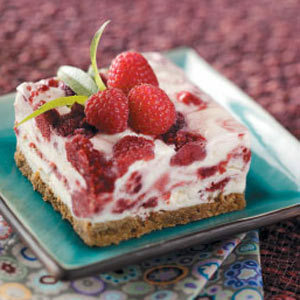 Spread a third of cream cheese mixture over crust; spoon half of crushed berry mixture over the top. Repeat layers. Cut through with a knife to swirl raspberries. Top with remaining cream cheese mixture. Sprinkle with reserved berries and drizzle with remaining juice. Cover and freeze for 5 hours or until firm. Remove from the freezer 15 minutes before cutting. Yield: 12 servings. Combine sweetener and cornstarch in a small saucepan. Stir in orange juice. Bring to a boil; cook, stirring constantly, 1 minute or until mixture is thickened and bubbly. Remove from heat, and stir in extract. Cool completely. Combine orange juice mixture and strawberries in a bowl; stir gently. Cover and chill 30 minutes. To serve, spoon sauce over dessert shells. Preheat oven to 350°; place rack in center of oven. Freeze sugar cookie dough 1 hour. Remove from freezer, and place on cutting board. Cut dough into 1/4-inch slices (about 28–32 slices); arrange 2 inches apart on 2 parchment paper–lined baking sheets. Combine brown sugar, chopped pecans, cinnamon, and, if desired, nutmeg in a small mixing bowl. Top cookies with 3/4 teaspoon streusel. Bake 12 minutes or until edges are crisp and browned. Let cool on baking sheet 3 minutes; remove to a wire rack to cool completely. Peel pears; cut in half lengthwise. Use a melon baller or grapefruit spoon to remove core and seeds, creating a hollow. Place pear halves, with cut sides up, in a glass pie plate. Combine sugar and cinnamon; sprinkle evenly over pears. Combine cranberries and granola; mound into hollows of the pear halves. Pour the apple juice in and around pear halves. Cover dish loosely with wax paper. Cook in microwave on HIGH 6-8 minutes or until the pears are tender when pierced with a knife. Let stand in the dish 5 minutes. Use a large slotted spoon to transfer the pears to serving plates. Drizzle juices from pie plate over pears and serve with frozen yogurt. Preheat oven to 350 degrees F. Combine flour, sugar, and salt in a large bowl; cut in butter with a pastry blender or potato masher until crumbly. Reserve 1/2 cup for later use. Add yogurt, vanilla and almond extracts, egg, baking powder, and baking soda to mixture. Beat with electric mixer at medium speed until blended. Pour into 8-inch-round nonstick baking pan. In a small bowl, combine cream cheese and jam; beat at low speed until blended. Spread evenly over batter. 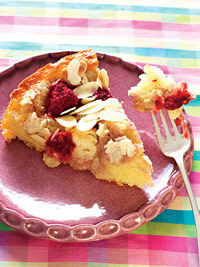 Top with reserved flour mixture, sprinkling of raspberries (optional) and almonds. Bake for 45 minutes or until edges are browned and center is nearly set. Cool on a rack. Refrigerate 3 hours, or until well chilled. Cut into 8 wedges. Preheat your oven to 375F. Grease a 9” square baking pan with coconut oil and line pan with parchment paper, leaving enough extra to extend over the sides. In the bowl of your food processor, combine avocado, sweet potato puree, unsweetened applesauce, date paste and vanilla and process until smooth and creamy. Add cacao powder and again, process until smooth. Add eggs, one at at time, processing until smooth between each addition. In a large mixing bowl, add coconut flour, arrowroot flour, salt, ancho chile, and baking soda and stir with a wisk until well combined then add to your food processor and, you guessed it, process until smooth. Add pecans and pulse a few times just to mix them in. Transfer to your prepared pan. Spread batter evenly and bake for approximately 25 minutes, or until a toothpick inserted in the center of the cake comes out almost clean. Set brownies on a wire rack to cool for 15-20 minutes then transfer to fridge to cool completely, about an hour. 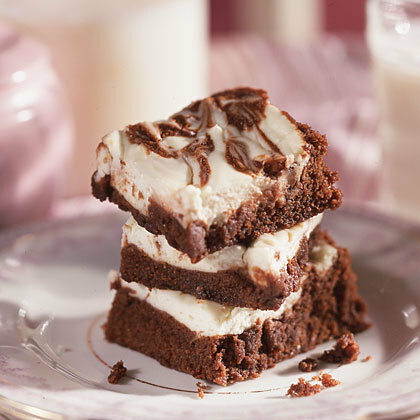 Prepare the icing by adding all the ingredients to the bowl of your food processor and process until smooth and creamy. Pour over brownies and spread evenly with a spatula. 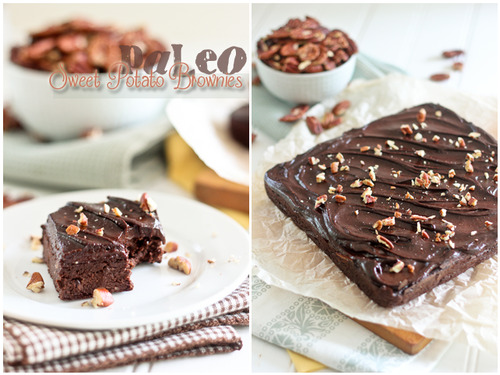 Place the brownies in the fridge and chill completely, at least 8 hours, preferably overnight. Sprinkle with a handful of coarsely chopped pecans, if desired. Cut into squares. Preheat the oven to 350°F and then line two round cake pans (or a 9x13” pan) with parchment paper. In a food processor or blender, combine the eggs, almond milk (or preferred milk) and vanilla extract then blend for ten seconds to combine. Add the cooked and cooled quinoa along with the melted and cooled Earth Balance and coconut oil (could also use all regular butter) then blend until completely smooth, about thirty seconds to one minute. Sift together the dry ingredients in a large bowl (cocoa powder, sugar, baking powder, baking soda and sea salt). Add the wet ingredients in the blender to the bowl with the dry and mix together until well-combined. Divide the batter between the two pans and bake for 30 minutes. Remove the cakes from the oven and allow to cool. To make the frosting you will need to refrigerate the coconut milk overnight (in the coldest part of your refrigerator) so that the cream separates. 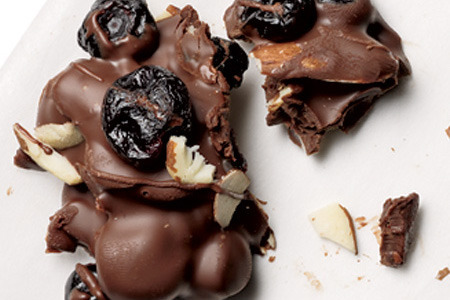 When you are ready to make it, melt the chocolate in a sauce pan over low-medium heat. Grab the coconut milk from the refrigerator but don’t shake the can or turn it upside down before opening. Open the can and scoop out the solid parts with a spoon, placing them into the pot with the chocolate. It’s okay if it the solid parts on completely separated, just try to get as much of the thicker portions as possible. Allow to cool on the counter then cover and refrigerate for several hours, until thickened. Once it has thickened, remove from the refrigerator and beat on high for thirty seconds to one minute, until a fluffy icing has formed. (I made mine the night before baking the cake). Transfer the cakes to a surface for icing with the bottom side up. I recommend that you only transfer the cakes once as they are fragile and difficult to hold together once removed from the parchment paper. 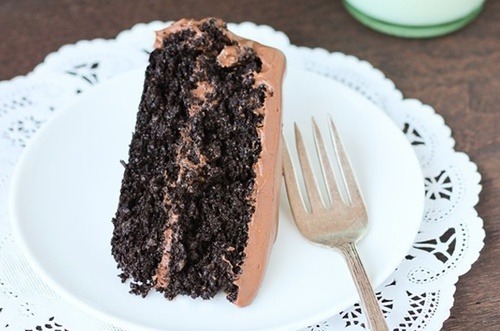 Frost the cake and refrigerate until ready to serve. The icing will melt in really warm conditions but should be fine for a few hours in cooler settings. Microwave chocolate in a glass bowl for 60 to 75 seconds or until melted. 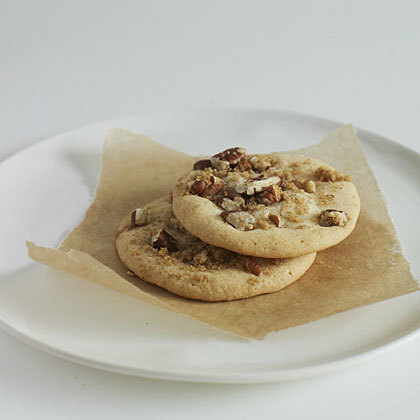 Stir in blueberries and nuts, then drop 5 rounded tablespoons onto parchment paper. Cool in refrigerator for 2 to 4 minutes or until firm. Makes 5 turtles. In a small bowl, stir together ricotta, marmalade, and sugar until combined. Fold in chips. Place 8 cookies on a rimmed baking sheet. Spoon a generous tablespoon of the ricotta mixture onto each cookie. Top with the remaining cookies and freeze until set, at least 1 hour. Once frozen, wrap separately. These will keep in the freezer for a week. Makes 8 Servings.